This entry was posted on July 27, 2012 by Cher. It was filed under Authentic, Beauty, D90, Delicate, Flowers, Hollis Garden, Nature, Photography and was tagged with Angel Trumpets, authentic, Beauty, D90, flowers, Hollis Garden, Nature, outdoors. We have 5 of these in our backyard. Thanks for sharing! Thank you for visiting! I love your daily photo e-mails. Goal is to be featured someday! Thank you So much Cate! 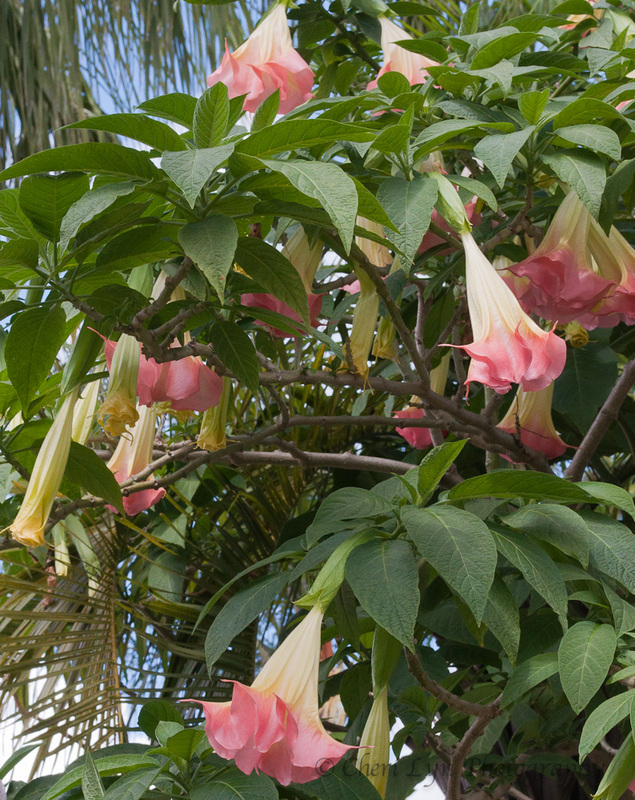 I love the Angel’s Trumpet! They are so fragrant in the night. I would love the opportunity to smell them sometime. When I took these I did not notice a scent coming from them. 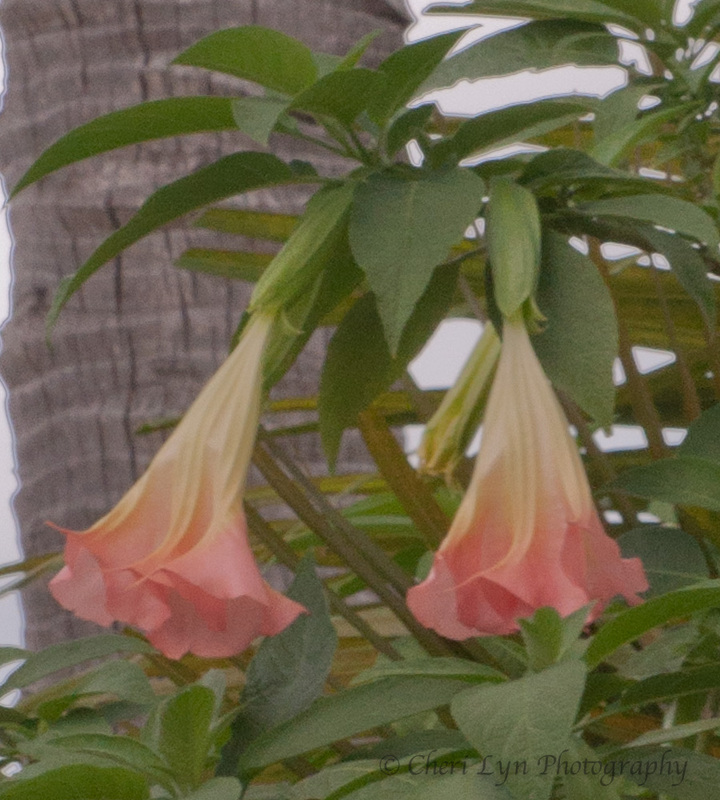 Yes; like many jasmines, the aroma of the datura doesn’t cast its intoxicating spell until the end of the day. reminiscent of the subtle fragrance of the magnolia, it’s quite special, especially under a full moon, and the flowers seem to glow!. i have two cuttings trying to take hold in my garden here in Ecuador. It will be great to have that old friend in my neighborhood! The plant has a dark side and has been used for its hallucinogenic effects and to drug others. It is very dangerous; look up ‘jimson weed, a cousin of the lovely angels trumpet, for some interesting trivia about the plant.